Following the steps of better writers than me I've decided to publish a book. 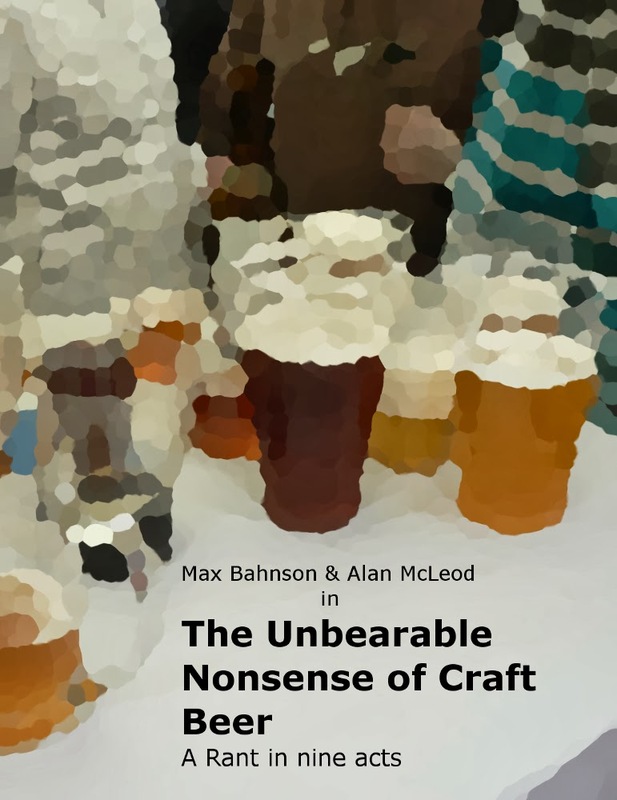 It's still in the project stage and it won't be a historical, theoretical or technical essay about beer. For that, I don't have the chops yet. It's something a lot more mundane, but at the same time, a lot more useful to the layman: a Pub, etc. Guide of Prague. Similar stuff has been already published, so I'm not going to say I'm original or an innovator. The guide I'm putting together, however, has a couple of advantages over others: I live in Prague, so it will be more easily updated, and its scope is far more ambitious than any other, I'm planning to cover the whole of the Czech capital and some of it's outskirts, and try to include at least one nice place to have good beer in every one of its boroughs. Oh! And it will also be published in Spanish. Some of the material has already been published in this blog, some is already compiled in a notebook or in my always reliable head, the rest, that is most of it, though, I still have to go and research. For that I will need time and money. In an ideal world a publishing house would offer me a juicy advance for such an interesting book. I don't see that happening, really, so I've decided to look for sponsors to finance this project. Stop! Wait! All of you breweries and restaurants! Put down those mobile phones, close those e-mail windows. I don't want that kind of sponsorship, I want my book to be fully independent. And that is why I am appealing to you, my readers and followers. All you have to do is click on the Donate button right below my picture and choose an amount in Euro (you don't need to have a Paypal account, credit cards are accepted). Of course, you won't be left only with the satisfaction of having done a good deed, those of you who send some money will receive a copy of the electronic edition or, depending on you generosity the paper edition, of the book once it's published, which I hope to do in about a year. (The donations will also help to set myself a deadline). Needless to say, any bit of information about pubs in Prague will be more than welcome. Thanks a lot for your support financial or otherwise, and Na Zdraví! I support your project, and challenge everyone reading this excellent blog to do the same. This will be great! I am really looking forward to this book. Good luck! 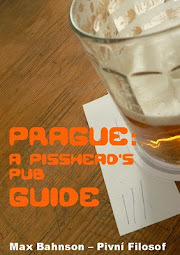 My pub guide to Prague should be available soon as well - now that I have the pictures to set into the text. Do you know when your Prague book is available, by the way? Good luck! The donation is on its way. I am hoping to have an e-version ready in a week or so. Ahoj. Although I have the Camra guide for Praha & Cz. There is a big need for a Pivo guide from a Czech viewpoint, with your experience, its a must. Will be in Praha Feb, will gladly give a donation in CZK, as my credit card, is up to the hilt, with flights & Christmas. Terry, the lastest CAMRA guide was written from a Czech viewpoint. Evan Rail has been living here longer than me, but it isn't a pub guide proper (though I must say that the pub guide sections of Prague and Brno are pretty good, though understandably short).